Rochester’s "Mya Barley Powder" team is comprised of (left to right) Kat Cook '17S (MBA), Sarah Spoto '17S (MBA) Fahria Omar '17S (MBA), Su Sean Ng '16S (MBA), and Brandon Smart '19 (BS/BA). Created at the University of Rochester in 2015, the Tibetan Innovation Challenge’s goal is to develop self-sustaining and replicable business ideas to alleviate the economic difficulties Tibetan refugees face. The intercollegiate business plan competition focuses on social entrepreneurship aimed at improving the lives of 125,000 Tibetan refugees. The inaugural event was held at Tibet House U.S. in Manhattan last July and featured an appearance by the Dalai Lama, the spiritual head of Tibetan Buddhism. A team from Texas Tech University won. This year, while the Dalai Lama will not be making an appearance, Rochester will again be well represented on two of the five finalist teams. The competition presentations are open to the public and will be held this Friday, June 3, at the Larry and Cindy Bloch Alumni and Advancement Center, 300 East River Road. Students from Brandeis University, the University at Illinois at Urbana-Champaign, the University of Oxford, and the University of Tampa also will compete. 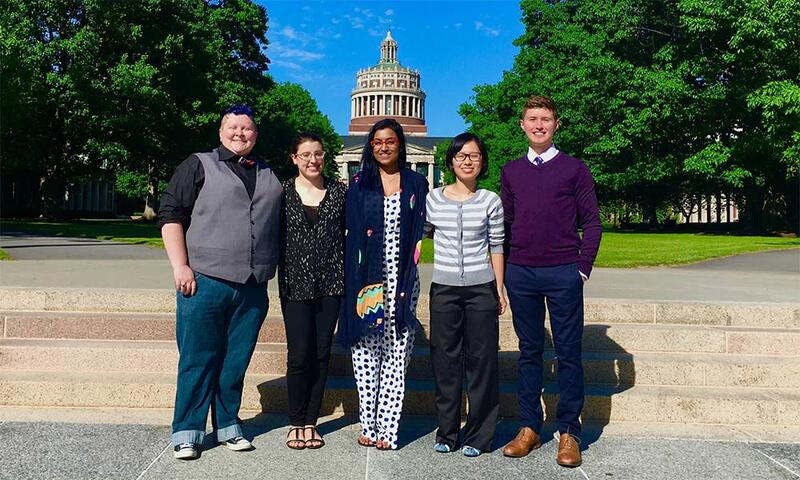 Rochester’s “Mya Barley Powder” team is comprised of Kat Cook ‘17S (MBA), Su Sean Ng ‘16S (MBA), Fahria Omar ‘17S (MBA), Brandon Smart ’19 (BS/BA), and Sarah Spoto ‘17S (MBA). When Omar discovered the health benefits of barley water, she knew she could make a difference in refugees’ lives. Tibetan farmers have a surplus of barley, which keeps prices low in that region. But Tibetan barley remains in high demand in the United States. The Mya Barley Powder team hopes to process the barley into one-time, on-the-go powder packages to create barley water as an athletic and health aid, driving the profit margin significantly up. Every package of powder will include information about the plight of the refugees. Omar said her group has reached out to local retailers and is waiting to hear back. 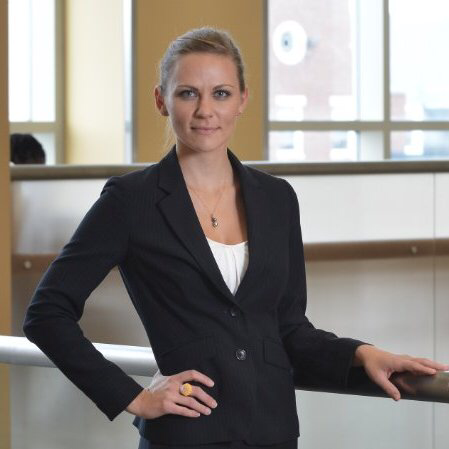 One other Rochester student, Mikayla Hart ‘16S (MBA), is partnered on the “Tashi Organics” team with Kari Wozniak, a 2017 MBA candidate from the University of Illinois at Urbana-Champaign. Tashi Organics, formerly known as TibetanOrganic, is a social enterprise that will use training programs and value-added food processing to develop sustainable sources of income for Tibetan organic farmers. The plan is to reduce refugees’ costs related to post-harvest food loss and empower them to create products sold throughout India. The first of Tashi Organics’ productions will be an organic juice line that will offer consumers a healthy beverage that creates positive social and environmental impacts. Hart, who is from Hawaii, met Wozniak through another social entrepreneurship competition called the Hult Prize several months ago. When Hart’s team didn’t advance in the Hult Prize, she and Wozniak decided to team up for the Tibetan Innovation Challenge. Until this week, the two had yet to meet in person. Student presentations will run from 3:45 to 5 p.m. The judges then will deliberate until announcing the champion. Each team will give a 10-minute presentation followed by a five-minute question-and-answer period with judges. The judges are: Randall Kempner, executive director of the Aspen Network of Development Entrepreneurs; Lobsang Nyandak, executive director of the Tibet Fund and Trustee to the Dalai Lama Trust; Song Pak, SVP of Operations and Acting General Counsel, Revolution, LLC and General Counsel and Chief Compliance Officer, Revolution Growth; and Tashi Nangsetsang, Tibetan Community Leader in Toronto and project manager, A&L Contractors. Sponsors of the Tibetan Innovation Challenge include: The University of Rochester Ain Center for Entrepreneurship, the Art of Peace Foundation, the Tibet Fund, and Tibetan Entrepreneurship Development.